Mumbai, the commercial and entertainment capital of India, is a thriving real estate destination. The property in Mumbai is growing leaps and bounds as it offers a healthy mix of residential and commercial spaces. It has superb transport infrastructure which connects the city from one point to another via both road and rail. It enjoys excellent social and civic amenities like some of the reputed schools, colleges, universities, hospitals, corporates, commercial spaces, malls etc. are based in the Mumbai. It flaunts world-class infra-facilities and the easy availability of both unskilled and skilled workforce makes it an attractive place for migrants from across the country. It offers excellent business opportunities in different fields like engineering, IT, pharma, chemicals, and biotechnology. Enjoying a high per capita income, the living standards of the people in Mumbai are very good. Murbad on Nashik-Mumbai Highway is a census town in the Thane district. It is a preferred residential destination for the professionals working in Thane. The area offers properties at affordable prices and fulfills the realty dreams of many. Lush greeneries, ample fresh air, an uninterrupted water supply are some reasons that make the place a preferred choice of potential home buyers. It is a wonderful second home destination for those living in Mumbai or neighboring areas. The area is close to cities like Dombivli, Ulhasnagar, and Ambernath. The place is mainly an industrial town that has many public and private enterprises. All these factors are have made Murbad like a magnet attracting the investors and developers who are ready to park their hard-earned money in this part of the city. Reputed Meadow Villas is a leading residential development that makes Property in Murbad Mumbai worth consideration. 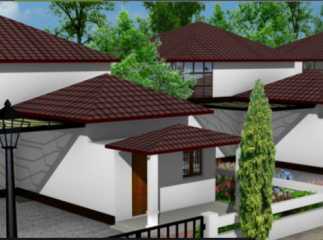 It is a modern housing project that offers you all possible comforts of life at affordable prices.